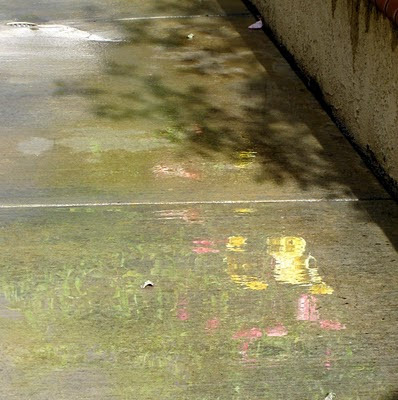 My roses and lemon tree reflected on the sidewalk, in my side yard, right after a recent drizzle. Lovely reflections mixed with shadows! Beautiful! Very unique and very beautiful. 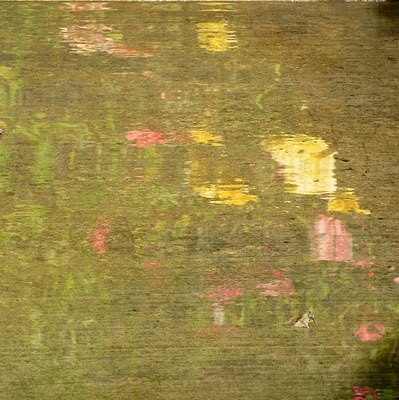 At first I thought I was seeing a chalk painting. These are wonderful. What creativity you have. These reflections are so beautiful and so very unusual. How pretty, the pinks and yellows on the sidewalk. I would not have guessed a lemon tree! Very pretty. Beautiful! A puddle becomes abstract art! that's a really neat reflection - i love the soft colors of the lemon tree and roses, nice! What pretty colors! Makes me thing of the old song Lemon Tree.